Steve Jobs would be proud of this one. 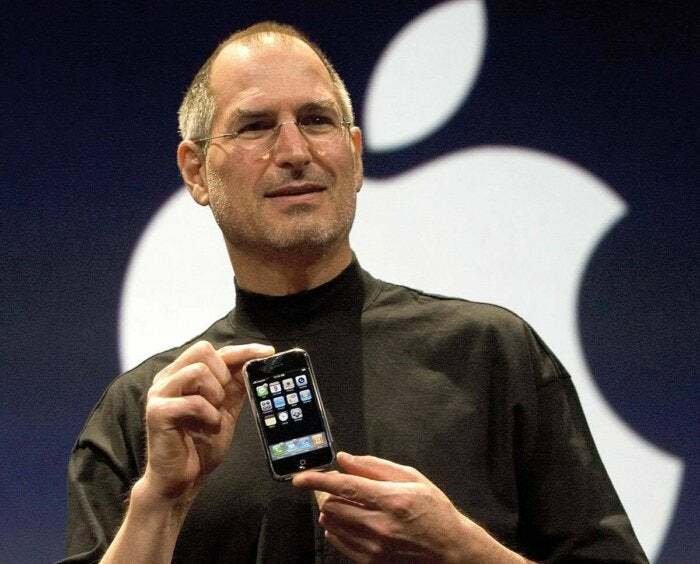 Ten years after the iPhone debuted, on June 28 of 2007, the smartphone that started it all is still going strong. From the latest sales figures I’ve seen, the phone has sold well over 1 billion units worldwide. Statista claims there are 2.2 million apps in the app store. There wasn’t a glowing aura coming out of the iPhone, but for users it was like coming out of a cave compared to those early “smartphones” running Windows Mobile. I still remember testing a Samsung phone from around that period in 2007 where you had to use a stylus on the screen and tap, tap, tap a few times to get anything to open. It was like using a stone tablet. No wonder every age group, from teens to the elderly, prefer it. It’s hard to recall now, but Apple didn’t offer an app store until a year later in the summer of 2008. (That was a busy summer, too—it’s when I first started using Twitter.) For me, there were several important milestones. Siri came out in 2011. The next year, a seemingly minor change in how iTunes 11 synced to the cloud called Match was a gamechanger for me—since I’m also a music reviewer. One of the reasons I still use an iPhone so many years later is because I now have 14,000 songs synced across multiple iOS devices, a Mac and multiple Windows laptops. And, the iPhone just works. I’m also an avid Android user and see many of the advantages to that platform, namely that you can customize more of the settings. Google has an arguably superior voicebot called the Assistant that can handle contextual inquiries and provide better answers, but Siri still does the job for me in most cases. The iPhone has several weaknesses, namely the closed ecosystem (you still can’t buy an Amazon book or a Google Play movie), but overall the ease of use and no-brainer functionality is what has made it stand the test of time. How long will the iPhone reign? Now, the question to ask is—how long will the iPhone reign? Here’s my official prediction. By the next decade, we won’t be using smartphones as often. We’ll be talking to voicebots like Alexa in the car, at the office and at home. Bots with AI will know when we want to know about the weather because the sky gets dark or the thunder sounds. Bots will tell us what we need to know when we need to know it instead of forcing us to use an app. We’ll control our music entirely by voice, and we won’t need hundreds of apps anymore. In fact, “the screen” itself will fade into a distant memory unless we want to watch a movie or look at photos. I’m not sure when this will happen exactly, but I can say I’m already heading in that direction. I haven’t use an iPhone to check the weather in over a year, and I’m constantly uninstalling apps I don’t use anymore because I do those activities by voice now. The reign has been long and vibrant, but you can already see the end game. The bots will win.